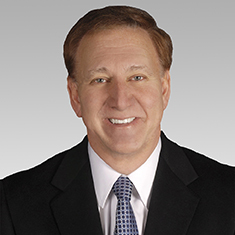 Ken Lore serves as head of the Real Estate practice – East Coast and a member of the firm's Board of Directors. He focuses his practice on complex equity and debt real estate transactions, including multifamily rental properties, mixed use, affordable housing, community development, public private partnerships, hospitals, office buildings, and condominiums, as well as other retail and commercial projects. Ken advises participants such as property owners of all types of assets, developers, underwriters, banks, mortgage bankers, contractors, state and local housing finance agencies, pension funds, real estate investment trusts (REITs), investment companies, pooled investment funds and syndication companies in all aspects of real estate projects. He focuses on complex negotiations, deal structuring and sophisticated financings involving asset-backed securities, taxable and tax-exempt debt, mezzanine debt and equity, convertible loans, credit enhancements, structured finance and secondary market transactions, and other financial products. Ken was involved in the original drafting of the LIHTC (Low-Income Housing Tax Credit) provisions of the Internal Revenue Code (Section 42) and has been an active participant in advising and representing investors and other clients on all aspects of LIHTCs and NMTCs (New Markets Tax Credits). Ken also has had significant experience in dealing with restructuring and disposition of distressed assets (mortgage loans, mezzanine loans, asset-backed securities and other asset types) including representation of the Resolution Trust Corporation (RTC), lenders, underwriters and developers. Ken has written extensively on all aspects of real estate law, and his articles have been published in Legal Times, New York Law Journal and American University Law Review. He also lectures on real estate finance at industry forums and seminars, such as the Columbia University Real Estate Development Program and meetings of the National Housing & Rehabilitation Association. Ken is frequently interviewed by the real estate and general press for commentary on industry developments and has been a featured speaker on regional and national news broadcasts.